A stove that simultaneously cooks food and sterilizes drinking water. A free, web-based platform that produces megacity-scale visualizations of disasters in real time. 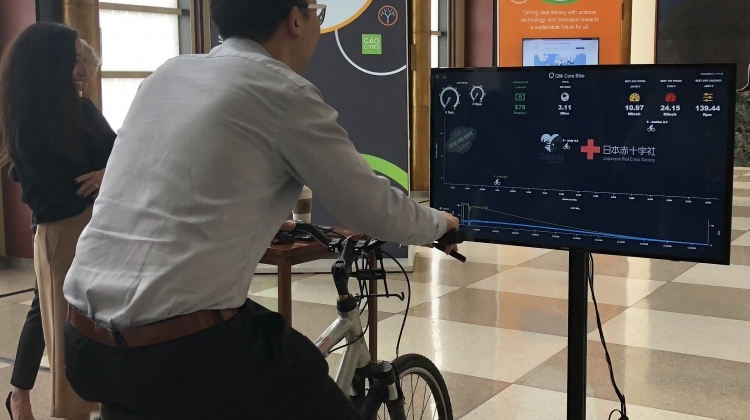 Innovative technologies like these have the potential to transform the world and they were just two of the novel solutions on display at the Innovation Hub in the UN Headquarters Visitors Lobby, 4-6 June. 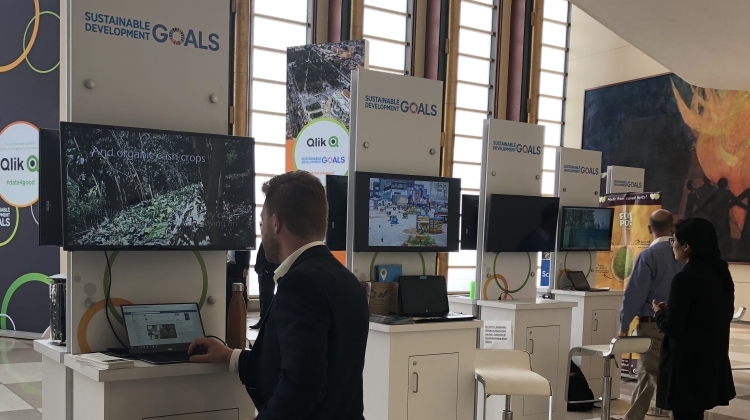 The exhibition was coordinated by the Office of Information and Communications Technology in the Department of Managementwith support from Qlik Technologies, Inc. It featured 11 winners of a global innovation challenge to develop grassroots technologies to help achieve the Sustainable Development Goals. The Innovation Hub also featured state-of-the-art analytics applications designed to inform decision-making on a wide range of substantive issues. 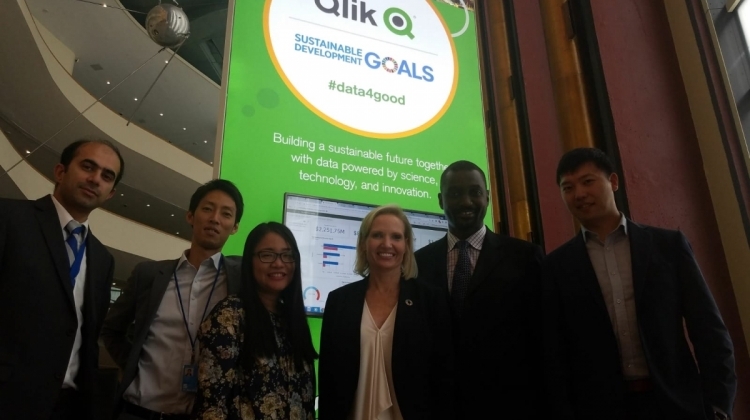 All are from a Qlik-developed bulb that, once planted, immediately produces data like soil moisture and ground temperature to Unite Analytics, the UN self-service visualization platform that departments and offices can use to develop and publish dashboards for internal collaboration and reporting. 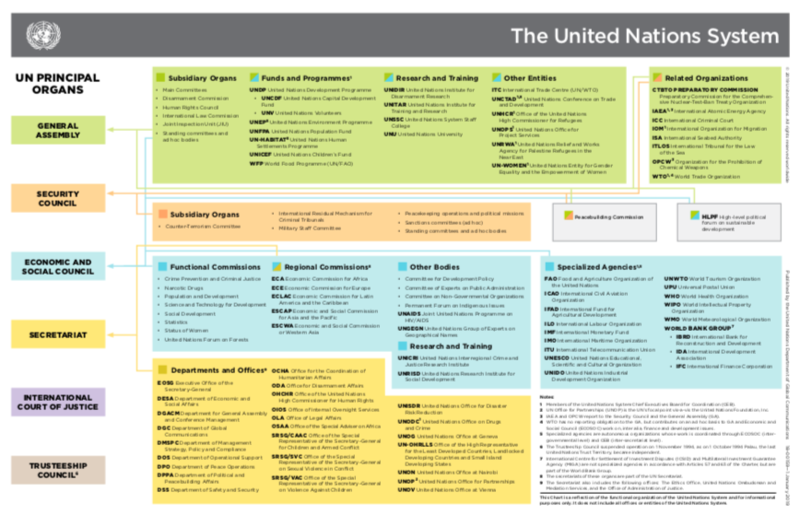 a groundwater monitoring solution that improves the quality and value of water, sanitation, and energy services in emerging markets. 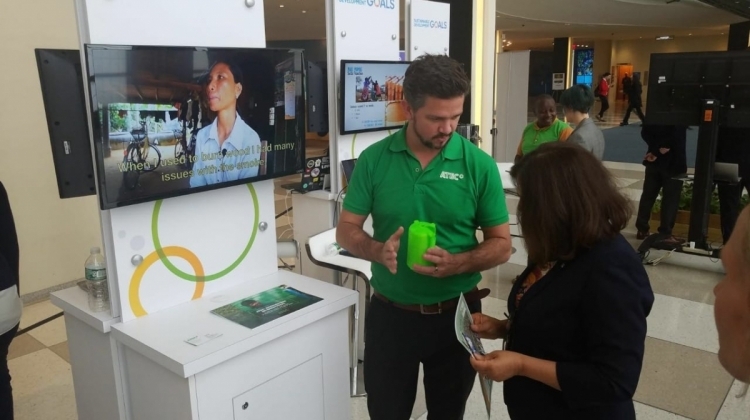 The Innovation Hub was part of the third annual Multi-stakeholder Forum on Science, Technology and Innovation for the Sustainable Development Goals (STI Forum). Hosted by the Department of Economic and Social Affairs (DESA), the STI Forum brings relevant stakeholders together to share in sustainability technology and explore collaboration efforts to achieve the SDGs. To meet the SDG innovators, watch DESA's Facebook live event.